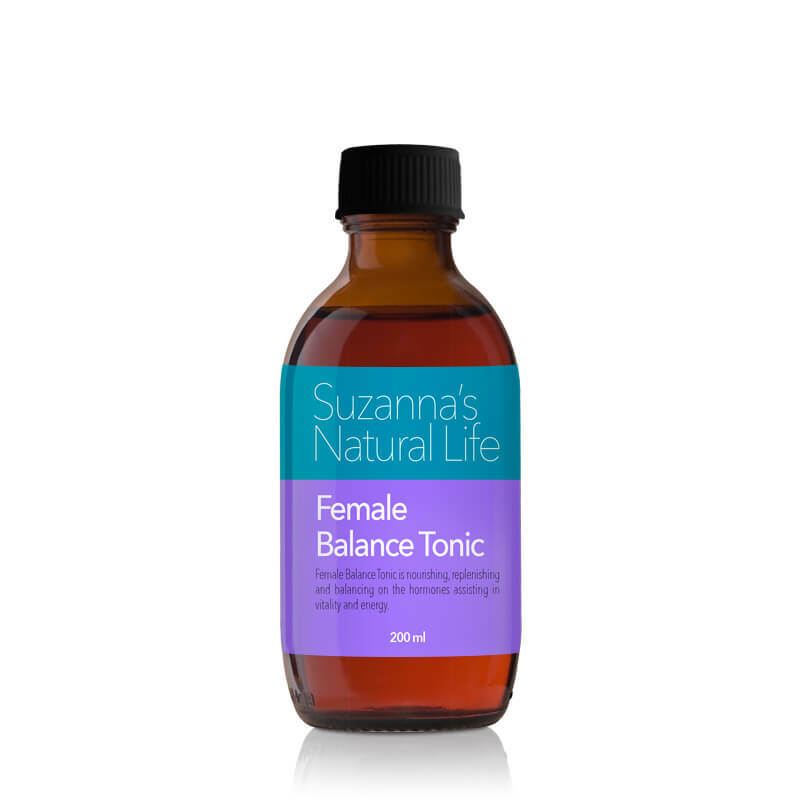 This female tonic is nourishing and replenishing, balancing the hormones assisting in vitality and energy. Adults: 5mL serving 2 times a day. Withania is a tonic and adaptogenic helping to restore the body to its optimum health while reducing stress on a mental and physical level. Chaste tree assists in a healthy reproductive and menstrual cycle. Dong quai assists with anaemia, strengthening the tone of the uterus, painful menstruation and menstrual irregularity. Nettle has replenishing nutrients that nourish and energise the body and contain astringent properties that assist in soothing and minimising menstrual symptoms. Schisandra assists with detoxing excess oestrogen and may improve physical and mental health. Skullcap assists with emotional stress and premenstrual symptoms such as acne, fatigue, tender breasts, insomnia, headaches, backaches, bloating, cravings, joint pain, muscle pain, cognition, mood swings, anxiety and depression. Licorice assists with adrenal exhaustion, physical stress, infertility, irregular or lack of menstrual periods and oily acne prone skin. Withania, Chaste Tree, Don quai, Nettle, Schisandra, Skullcap, Licorice.